Download HTML5, PDF, GIF, PNG, JPEG and MP4 in the same place. We always try to improve our platform and make it easier for you to use. If you wish to download any of the formats available, all you have to do is go to My Flipbooks, right-click on the desired flipbook and select the Download option. 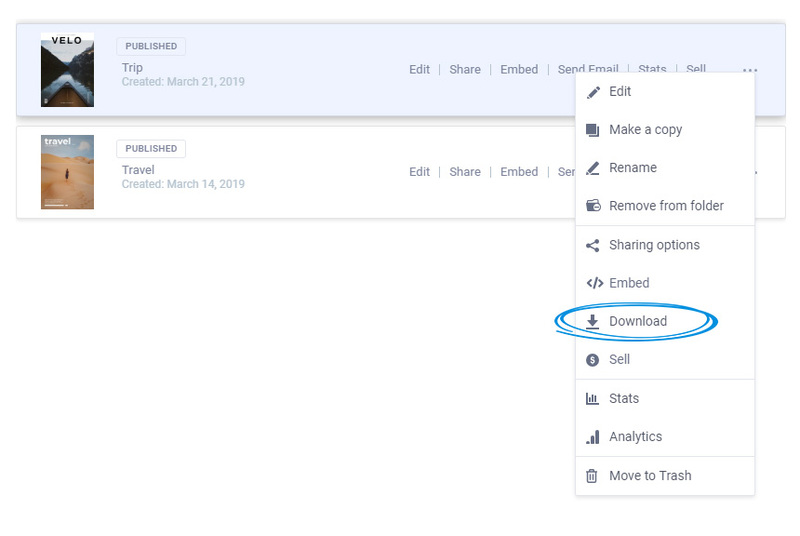 An overlay will open where you can choose the format you will download your catalog in. Each download option has a short description which helps select the right one depending on the situation. Important: To be able to download your work in HTML5 format, you will need the Business or Enterprise subscription. The PDF format can be downloaded with any premium subscription. • More information about HTML5 download. 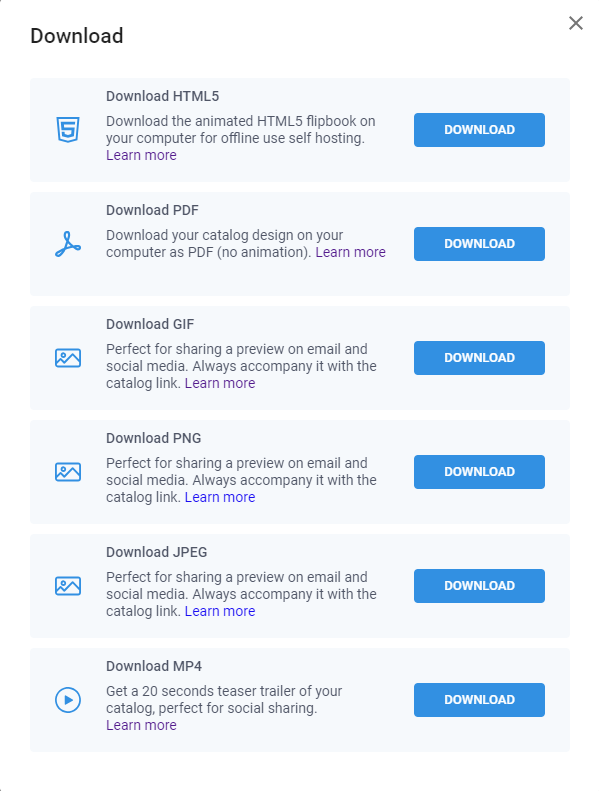 • More information about PDF download. • More information about VIDEO download. • More information about GIF download. • More information about our subscriptions.